Hello! I forgot to schedule this post! Yikes! Here is a card I made for one of my son's friends. 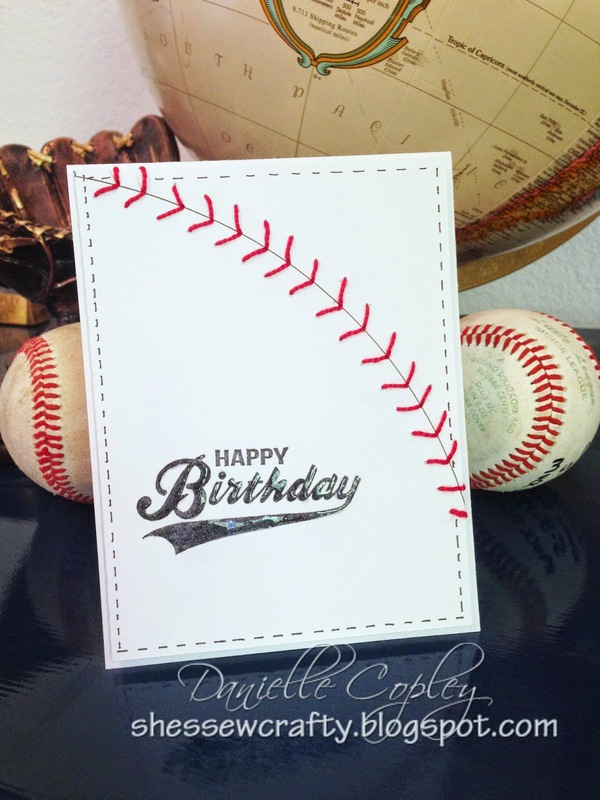 They play baseball together, so I thought this was the perfect card. The birthday boy's mom loved it which is always nice! I used glossy accents on the stamped sentiment and Copic mulit-liner for the faux stitching. I hand stitched the baseball stitching. I thought it was a fun change and perfect for a boy! I love your card Danielle. It's a perfect 'boy'card!! Thanks for sharing.